For over 30 Years, our medical team has been committed to our community's lifelong wellness by providing quality and compassionate health care. Our Medical Director, Dr. Lowell Clark, from the Mayo Clinic, is considered one of the foremost authorities on geriatric care and provides exemplary leadership to our medical team. We love our Patients! 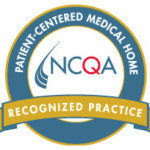 This web site is designed to familiarize you with our practice, providers, and purpose. It contains information for OFFICE new patients: POST ACUTE CARE patients; and ASSISTED LIVING residents and important patient educational information for everyone. Thank You for choosing the CLARK HEALTH as your medical home. We love our patients.